Thule roof racks for Hyundai i30, 5dr Hatchback Mk.III With Fixed Points 2017 on. 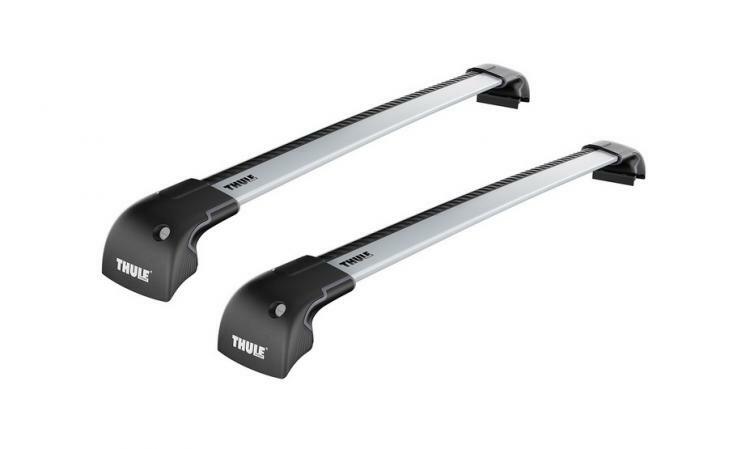 Included are WingBar Edge Silver that support a maximum load of 75 kg. The sleekest, sportiest looking system with no cross bar overhanging on the ends. The shorter bar means approximately 30cm less load area than equivalent systems so if you're planning on a roof box and bikes or roof box and kayaks then you're better going with one of the other systems below. Maximum load on Edge systems is 75kg but may be less on your vehicle, please refer to the Roof Rack Guide on our website for details of your particular vehicle. Available in black or silver.